Longboarding is an exciting and adventurous hobby that is quickly gaining popularity in both the sporting world and as a method of short distance travel. Like many hobbies, however, the cost of longboarding can certainly add up quickly. Yet this does not always have to be the case. For beginners and pros alike, there are a large number of cheap longboards for sale that will cost you less (sometimes much less) than $100. When looking for a cheap longboard, however, it is especially important to pay attention to quality. To make sure you are getting a longboard that will be fun to ride and durable enough to last, here is a guide to the best cheap longboards under $100. For being such an affordable longboard, the Super Cruiser is a gorgeous design. The combination of hardwood maple and bamboo is as appealing as it is effective and has been polished to a glossy sheen. Along with looking great, the Super Cruiser rides great as well. The wheels and trucks of this board are all optimum quality, and customer reviews of the Super Cruiser talk about how easy it is to turn and maneuver. Equipped with rugged, durable components, the Super Cruiser is a durable board and can easily accommodate heavy riders, punishing tricks, and years of use. All of this has led the Super Cruiser to be one of the best-selling longboards on the market today. Of all the longboards for cheap available, the Quest Super Cruiser is certainly one of the top performers. The Rasta Freestyle Elite is great looking, great riding longboard for an even better price. Not too many drop-through boards cost less than $100, especially not very many good ones, however, the Rasta Freestyle Elite is great drop-through longboard for both beginners and experienced riders alike that costs just under $70. Its trucks, wheels, and Canadian maple deck are well designed and extraordinarily high quality, and the board is known for riding incredibly smooth. Combine this with the Rasta Freestyle Elite’s beautiful, detailed artwork and this longboard becomes a difficult board for an avid rider to pass up even if they aren’t on a budget. Upon examining the Atom Drop-Through, it is incredible that this longboard sells for less than $100. The quality of the board’s materials, design, and aesthetics are all equal to that of much more expensive longboards. The Drop-Through comes equipped with a laminated maple deck that is highly eye-catching and rides very low to the ground, allowing for maximum stability and making the longboard well-suited for carving and for downhill racing. Reviews of the Drop-Through say that the board responds with such fluid ease that it is a pure pleasure to ride. Add to this the durability of the Atom drop-throughs components and you have a board that is certainly worthy of consideration. The Quest 2012 Classic is an excellent longboard with a great classical design for which it gets its name. Its pintail shape, one of the first longboard shapes to come onto the scene, is just as effective now as it was years ago and even more so considering the modern, well-designed components that Quest has put into the Classic. Its hardwood maple deck is high-quality in terms of both function and aesthetics, and the bearings, trucks, and wheels of the Classic are all top notch. Best yet, however, the Classic is one of the most affordable longboards you will ever find, costing just under $100. If you are looking for a bargain on a quality longboard, the Quest Classic is a great choice. Everything about the SCSK8 Natural would seem to indicate that it is an expensive longboard except for its actual cost. To start, the Natural comes in thirteen different designs, giving riders plenty of options as to how they want their board to look, and almost all of them are a pleasure to behold. The trucks are made out of a sturdy aluminum alloy and the deck is made from an equally durable veneer. Customers who have owned this longboard have said they have ridden it heavily for long stretches of time without ever having any component of the board warp, bend, or otherwise malfunction. All said and done, the SCSK8 Natural is in a whole different class than most boards in its price range. This bamboo and maple hybrid board has more to offer than its low price tag and incredibly good looks. It’s 7-inch lightweight aluminum trucks and PU wheels make for a surprisingly smooth ride. It is obviously not the ideal board if you are looking for a professional downhill longboard, but it is a fantastic beginner board to cruise around with and look good doing it. Coming out of California, it is easy to see that it has been designed to reflect the Santa Monica longboarding lifestyle. And I personally think they nailed it. It is not very fast compared to some of the more high-end options, which is not surprising. Even compared to the other on this list it is a very inexpensive board but still, manages a great performance. If you want a board for super fast downhill longboarding then this is not the choice for you but if that is what you are looking for, you should not be looking for budget options in the first place. It is perfect for what it is, a budget friendly, beginner longboard. Great at cruising around and getting the hand of longboarding, making it a good one to start out with. Valador is renowned for their quality, budget longboards and this might be their best inexpensive board yet. The deck is made of 8-p ly super flex maple and has a lot of flexibility to offer, making sharp turns a lot easier. It is sporting genuine ABEC 7 speed bearings, which is incredible for the price. This, combined with the super flex deck makes cruising such a breeze and just a lot of fun. It is a classic drop-through camber longboard and is one of the best drop-through boards for beginners out there. If you want to get a cheap but qualitative board to get yourself started with the longboarding hobby, this is an excellent choice. It is hard enough to find great, inexpensive longboard, but it is even harder to find a budget board that is also great for downhill riding. Luckily, Minority comes to the rescue. Downhill is one of the more demanding types of longboarding, but this maple deck board from Minority manages it so well. The trucks and bearings are incredibly sturdy for the price which grants a lot of safety and smoothness at higher speeds. They are not only sturdy but also very durable and of surprisingly high quality. So, despite the pricing, this board is likely to be with you for a very long time. So if you are more into downhill than cruising, then this is certainly one of the best, cheap options on the market. Longboarding is an excellent hobby to enjoy, however, with the cost of protective equipment and the board, it can become expensive. Just because a longboard is cheap doesn’t mean it has to be manufactured by an unknown brand with a poor reputation. By limiting your search for an affordable longboard to only companies that are known for making high-quality longboards that are built to ride smoothly and last many years, you will greatly increase the chance of being satisfied with your purchase. Fortunately, there are a great many low-cost longboards that are made by some of the best companies on the market today. Purchase one of these, and you will be set for a much more enjoyable riding experience. When buying a cheap longboard, it is important to consider the materials that it is made from. Look for a board that consists of a deck made out of a quality hardwood or bamboo, wheels that are made of a quality hard plastic, and trucks that are made out of a rugged aluminum alloy. By choosing a longboard that is made from quality materials, your board will last much longer as well as be easier and more fun to ride. Deck style plays a vital role in how the longboard rides and what type of riding styles it is best suited for. For example, a pintail deck shape is easy to turn and great for carving, though not as stable as other deck styles. A drop through deck style lowers your center of gravity and leads to a more stable ride. Likewise, a drop deck is also built for maximum stability. Both of these deck styles are great for long distance traveling and downhill racing. Lastly, a double drop is a combination of the drop through and drop deck styles and is even more stable. This style is best suited for downhill racing. Thankfully, there are affordable longboards available in each of these deck styles. When purchasing a cheap longboard, it is especially important to ensure that the board you are getting is going to be high quality enough to ride smoothly and last for a lengthy amount of time. While there are plenty of excellent, affordable longboards on the market, there are also plenty of cheap imitations that can barely even roll. In order to help better separate these two categories, it is important to pay special attention to customer reviews. 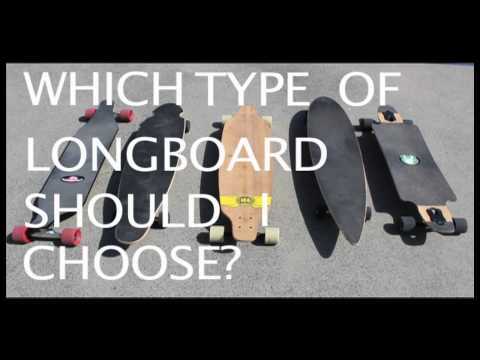 By reading through customer reviews and doing research on the longboard you are considering, you will be gaining valuable information that will allow you to purchase the best longboard for you and save a significant amount of money as well.